What are the terms and conditions for affiliates to resell your products? This Agreement contains the complete terms and conditions that apply to your participation as a member of the BiOptimizers Affiliate Program. To begin the enrollment process, you will submit a completed BiOptimizers Affiliate Program Application through our website. Your account will be evaluated before becoming active. We reserve the right to deny or approve any application. We will evaluate your account in good faith to ensure you comply with all our rules and agreements. We may reject your account if we determine that your site is unsuitable for the BiOptimizers Affiliate Program for any reason, including, but not limited to, if your site incorporates images or content that is unlawful, defamatory, obscene, harassing or otherwise objectionable, such as sites that facilitate illegal activity or promote violence or promote or assist others in promoting copyright infringement (collectively, “Content Restrictions”). As an affiliate website of BiOptimizers, you may use any form of promotion you choose, consistent with the terms of this Agreement. You may use banner advertisements, button links and/or text links to our site (the “Links”), however, you CANNOT SPAM. Any activity by you or on your behalf that we determine or reasonably suspect to be the result of an unsolicited bulk e-mail program will result in your immediate termination from the Program and your forfeiting of monies otherwise due you hereunder. This includes using social media to send BiOptimizers or Masszymes Inc. followers affiliate links or posting affiliate links on any of our official sites. Allowable promotional links may contain BiOptimizer’s and Masszymes Inc.’s trade names, service marks, and/or logos for display on your Affiliate Site. 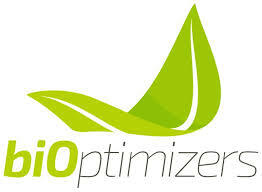 Your domain name however MAY NOT contain a BiOptimizers or Masszymes Inc. trade name. Subject to the terms and conditions hereof, you are granted a limited, non-exclusive, non-transferable license to access and download such Links and other designated promotional materials for placement on your Affiliate Site for the sole and exclusive purpose of promoting websites owned, operated or controlled by BiOptimizers and Masszymes Inc. In utilizing the links, you agree that you will cooperate fully with us in order to establish and maintain such Link or Links. A Link may only be visually modified with our consent. You MAY NOT create social media accounts that use our trademarks in the username. You also MAY NOT download our official videos from YouTUBE (or any other source) and re-upload them on your own account to promote your affiliate link. You also MAY NOT comment on BiOptimizers and Masszymes Inc. social media accounts with your affiliate code. BiOptimizers Supplements – 30% Lifetime Commission (for as long as the customer continues to purchase, and for as long as you remain an affiliate of the BiOptimizers Affiliate Program). Commissions deemed due and owed to you under the program will be paid to you directly by our affiliate platform, ClickBank. Once you have created your own ClickBank affiliate account, you may set your own payment threshold and payment frequency, and you can elect to receive payment by either ACH bank deposit or check. You will be solely responsible for the development, operation and maintenance of your site, and for all materials that appear on your site. We shall have no responsibility for the development, operation and maintenance of your site and for all materials that appear on your site. You shall also be responsible for ensuring that materials posted on your site do not violate or infringe upon any laws, including but not limited to 18 U.S.C. Section 2257, or the rights of any third party (including, for example, copyrights, trademarks, privacy, or other personal or proprietary rights), and ensuring that materials posted on your site are not libelous or otherwise illegal. You must have express permission to use another party’s copyrighted or other proprietary material. We will not be responsible if you use another party’s copyrighted or other proprietary material in violation of the law. Masszymes Inc. expressly requires you to disclose that there is a “material connection” between you and Masszymes Inc. any time you offer an endorsement or testimonial on our services, in accordance with the Federal Trade Commission guidance. Such disclosure should be clear and prominent, meaning close to the endorsement or testimonial. Unsolicited mass e-mail solicitations, IRC postings or any other form of spamming, including but not limited to, newsgroups, social media sites or AOL customers or otherwise violate the anti-spamming policies of Masszymes Inc. or state law; provide inaccurate or incomplete information to Masszymes Inc. concerning your identity, address or other required information; attempt to cheat, defraud or mislead us in any way; misrepresent to the public the terms and conditions of our sites or your sites; engage in popup advertisement network activities; iFrames may not be used unless given express permission by Masszymes Inc., sales made through hidden IFrames or Cookie Stuffing methods will be considered invalid. We will not accept commissions that come from any PPC advertising. The term of this Agreement will begin upon our acceptance of your Affiliate Program Application and will end when terminated by either party. Notice by e-mail, to your e-mail address on our records, is considered sufficient notice for to terminate this Agreement. If this Agreement is terminated for any other reason, you are only eligible to earn a commission on sales occurring during the term of the Agreement, and commissions earned through the date of termination will remain payable only if the related orders are not canceled or returned. We may modify any of the terms and conditions contained in this Agreement, at any time and in our sole discretion. Notice of any change by e-mail, to your address on our records, or the posting on our site of a change notice of a new agreement, is considered sufficient notice for notifying you of a modification to the terms and conditions of this Agreement. Modifications may include, but are not limited to, changes in the scope of available commission fees, commission schedules, payment procedures, and Affiliate Program rules. All such modifications shall take effect 48 hours after we serve notice as provided above, unless we indicate otherwise. You and Masszymes Inc. are independent contractors, and nothing in this Agreement will create any partnership, joint venture, agency franchise, sales representative, or employment relationship between the parties. You are not an agent of BiOptimizers or Masszymes Inc., and Masszymes Inc. expressly disclaims responsibility for any conduct by you in violation of our terms of agreement. We make no express or implied warranties or representations with respect to the Affiliate Program or any COMPANY services or other items sold through the Program (including, without limitation, warranties of fitness, merchantability, non-infringement, or any implied warranties arising out of a course of performance, dealing, or trade usage). Should any law enforcement agency or internet service provider provide Masszymes Inc. with notice that you have engaged in transmission of unsolicited bulk e-mails or have otherwise engaged in unlawful conduct or conduct in violation of said service provider’s terms of service, we reserve the right to cooperate in any investigation relating to your activities including disclosure of your account information in connection therewith. We may disclose to you certain information as a result of your participation as part of the Program, which information we consider to be confidential (herein referred to as “Confidential Information”). For purpose of this Agreement, the term “Confidential Information” shall include, but not be limited to, any modifications to the terms and provisions of this Affiliate Program Agreement made specifically for your site and not generally available to other members of the Affiliate Program, website, business and financial information relating to BiOptimizers and Masszymes Inc., customer and vendor lists relating to BiOptimizers and Masszymes Inc., and any members of the Affiliate Program, other than you. You agree not to disclose any Confidential Information and that such Confidential Information shall also include any information that we designate as confidential during the term of this Agreement. You agree not to disclose any Confidential Information and that such Confidential Information shall remain strictly confidential and secret and shall not be utilized, directly or indirectly, by you for your own business purposes or for any other purpose except and solely to the extent that any such information is generally known or available to the public or if same is required by law or legal process. We make no warranty, expressed or implied, with respect to any information delivered hereunder, including implied warranties of merchantability, fitness for a particular purpose or freedom from patent, trademark or copyright infringements, whether arising by law, custom or conduct, or as to the accuracy or completeness of the information and we shall not have any liability to you or to any other person resulting from your or such third person’s use of the information. You hereby agree to indemnify, defend and hold harmless Masszymes Inc., officers, directors, employees, agents, affiliates, successors and assigns, from and against any and all claims, losses, liabilities, damages or expense (including attorneys’ fees and costs) of any nature whatsoever incurred or suffered by us (collectively the “Losses”), in so far as such Losses (or actions in respect thereof) arise out of or are based on (i) any claim or threatened claim that our use of the Affiliate Trademarks infringes on the rights of any third party; (ii) the breach of any promise, covenant, representation or warranty made by you herein; or (iii) or any claim related to your site. Terminated accounts cannot later apply to the Program without our express written consent. This Agreement will be governed by the laws of the Panama, without reference to rules governing choice of laws. Masszymes Inc. reserves the right to institute a reserve fund holding commissions for a time period deemed necessary in situations where sales generated by an affiliate consistently have a high chargeback/cancellation ratio. Masszymes Inc. will be the sole and final arbitrator for any and all disputes or claims related to the validity of sales. In order to facilitate accurate record-keeping, multiple Masszymes Inc. and BiOptimizers affiliate accounts spanning multiple affiliate networks are strictly prohibited. By participating in this affiliate program, you agree to binding arbitration for any disputes or claims that arise against Masszymes Inc., or its subsidiaries in conjunction with this program. An arbitration firm selected by Masszymes Inc. will be the sole and final arbitrator for any and all disputes or claims related or resulting from participation in this program. All decisions rendered are final. You also are responsible for any and all costs related to such arbitration. Affiliates may not make any claims that Masszymes Inc., products may be used for the treatment, diagnosis, or mitigation of any disease. How do I become a partner/ Affiliate with your company?